Even thinking about who will direct the next James Bond movie, the 25th, until a decision has been made on Daniel Craig seems a bit silly, but that's where we are now. 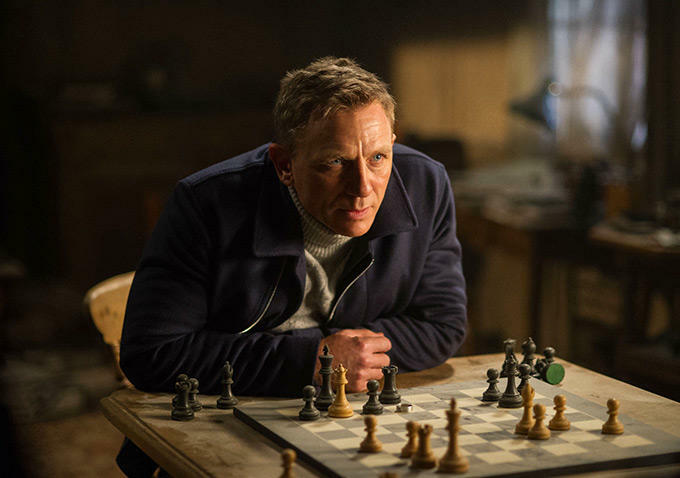 For one thing, neither Craig nor producers appear to be any closer to moving forward, which is understandable considering Spectre was a creative stumble and Craig just seems tired of it all. But there is a rumor emerging from the folks at Indiewire, and it's about who could be replacing Sam Mendes as director. The site reports veteran director Paul McGuigan may be in contention for the job, based on the positive work he did for Bond producers Michael Wilson and Barbara Broccoli on their upcoming film, Film Stars Don't Die in Liverpool which stars Annette Bening. McGuigan's last feature was the atrocious Victor Frankenstein, but he's still got a halfway decent resume. He directed a couple of Luke Cage episodes and the pilot for Sherlock, not to mention he's had moderate success on films such as Lucky Number Slevin and Wicker Park. That said, he's hardly the most distinctive director around, and you'd think after a pair of movies by an auteur like Mendes they'd want to keep on that level. Then again, maybe not. Maybe they want to bring the Bond franchise back to the days when 007 was all that mattered and you never knew or cared who the director was?